WITH DIGITAL FASHION PRO CONTEST! Los Angeles, CA, April 1, 2011… StartingAClothingLine.com, the leading source of how-to industry information for aspiring fashion designers, is seeking the world’s future stars during its own Fashion Awareness Week (May 9th - May 15th). The creators of Digital Fashion Pro (DFP) software announce its own contest designed to empower individuals aiming to start their own clothing line. The contest will provide participants with a chance to submit their unique story about why they want to be a success in fashion on either YouTube or on the Facebook.com/DigitalFashionPro page. A Grand Prize of $250 and a StartingAClothingLine.com Industry Leader Package (valued at $675) will be awarded to the “Most Promising Female Designer” and “Most Promising Male Designer” and the twelve semi-finalists will each win the basic Digital Fashion Pro software (valued at $199). Additionally, StartingAClothingLine.com will give away its $49 E-Book, “The Guide to Starting and Designing a Line,” to all contest entrants. For more information, please visit FashionAwarenessWeek.com. StartingAClothingLine.com is seeking entries on YouTube or Facebook that best showcase the individual’s dreams of and efforts towards launching a fashion career. One entry is allowed per person. Submissions MUST BE RECEIVED by MAY 1, 2011. Entries will be judged by StartingAClothingLine.com’s prestigious advisory board that will select the 12 semi-finalists and post them online at FashionAwarenessWeek.com on May 9th. The winners will be determined by the number of votes that each finalist garners on YouTube and Facebook during the week of May 9th - May 15th. The winners will be announced on May 16th. StartingAClothingLine.com addresses myths and misconceptions for beginners and fashion graduates alike. Offering a three-book course and Digital Fashion Pro software that covers everything from design training, financial strategies, manufacturing approaches and retailer relations, users are equipped with the tools they need to start their own clothing line. In fact, some of the most renowned designers in the world pursued their dreams without a formal fashion degree including Tommy Hilfiger, Liz Claiborne, Christian Dior and Fubu. After graduating high school, Tommy Hilfiger began customizing jeans at home which ultimately led him to launch the Tommy Hilfiger Corporation. Liz Claiborne and Christian Dior started two of the largest fashion houses without even completing high school. The nationally successful brand FUBU was started when a young and entrepreneurial Daymond John left high school and mortgaged his family’s home to help fund his brand that he had begun in their basement. Today, FUBU is one of the most recognized urban brands in the United States. Always a champion of men and women working against the odds to fulfill their dreams, StartingAClothingLine.com will donate a portion of its net proceeds during DFP Fashion Awareness Week to Dress for Success. Founded in New York City in 1997, Dress for Success is a not-for-profit organization that offers services that are designed to promote the economic independence of disadvantaged women by providing professional attire, a network of support and the career development tools to help them thrive in work and in life. Since 1997, Dress for Success has served more than 550,000 women around the world. StartingAClothingLine.com promotes career success for individuals of all backgrounds. With state-of-the-art fashion design software and interactive tools, StartingAClothingLine.com takes fashion sketches from your imagination to your computer to the runway. 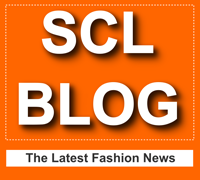 StartingAClothingLine.com is the innovative online retailer of books, software and other resources that make the fashion industry accessible to aspiring designers. At every stage of the process, StartingAClothingLine.com is there to build designer’s confidence and shepherd them towards becoming profitable. With a high profile client list from New York, Paris and Milan, coupled with over 80 colleges and design schools, StartingAClothingLine.com has proven to be the most trusted name for effective, efficient and creative resources available to developing designers on the market today.